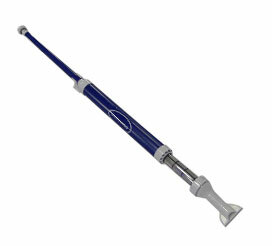 Make cleaning your spa easy with the Polaris spa wand! Perfect for getting dirt from the footwell in your spa. By simply pulling the plunger on the spa wand the dirt is sucked into the spa wand filter leaving your spa clean. This spa wand also includes 2 different nozzle attachments, one for surface debris, and the other for corners.